How is it that the most adult films over the past few summers have been Pixar animated? This isn’t going to be a normal review. I’m not going to describe the plot or the awesomeness of the visuals (especially in 3-D). Instead I’m going to focus my attention on one particular scene. Because, quite frankly, that’s all you need to know. 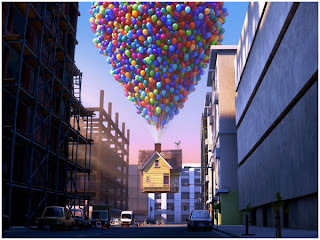 Up is unlike any animated movie I’ve seen. Wall-E got damn close, but Up actually made me care. I actually got emotional. I was stunned. Here’s how. "If this scene was in any live action drama, that movie would be nominated for Best Picture, without a doubt." You were right, such a good scene that the Oscar nominated for best picture. One of the benefits of going from just 5 Best Picture nominees to 5-10.